If your computer's performance suddenly starts to get worse and the whole system behaves in an abnormal way, you're likely to have some kind of malware in your hard drive. Anyway, just to be sure, you can launch this program and see for yourself. RunScanner analyzes your system (with two possible alternatives, quick or full scan) and displays all running processes in Windows file system and Registry. Each one of the elements has some icons to its left that provide you with more information about it, although you'll have to check that online as the program doesn't include a help file. Scans are very quick (even the full one) and can help you discover what's wrong with your system. Just bear in mind that this is not a definitive solution and that you need to be sure of what you're doing before actually deleting anything. Just in case, the program includes a backup option to unroll unwanted changes. 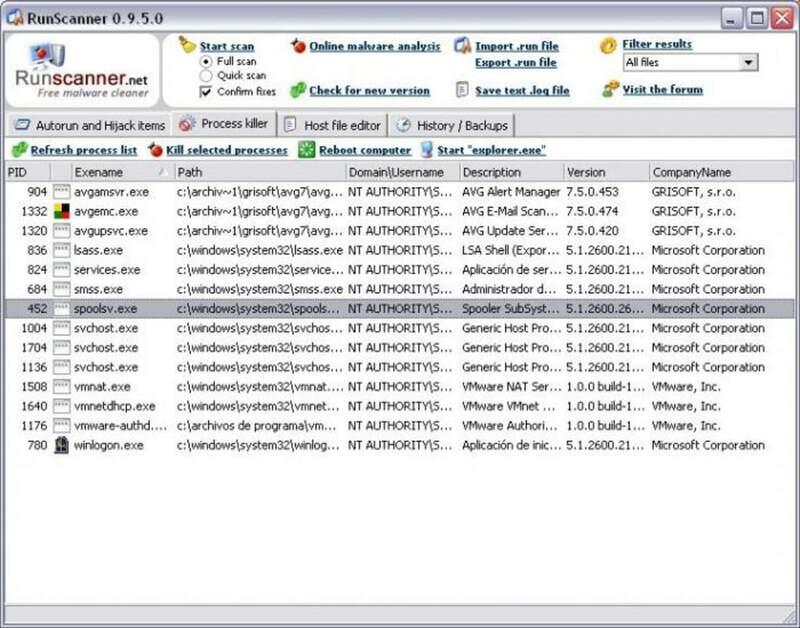 RunScanner also features a process killer and a hosts file editor. RunScanner is a freeware windows system utility which scans your system for all configured running programs and autostart locations. 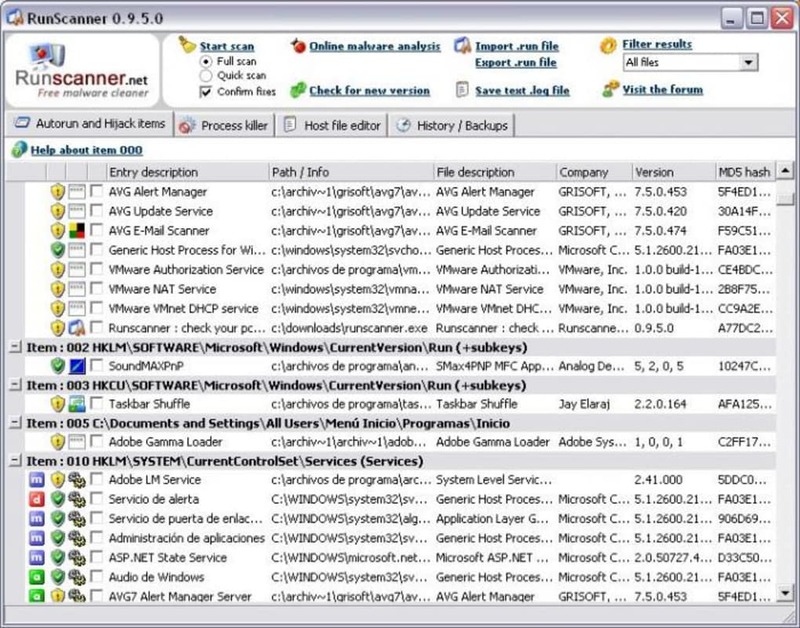 You can use runscanner to detect autostart programs, spyware, adware, homepage hijackers, unverified drivers and other problems. What do you think about RunScanner? Do you recommend it? Why?